I was surprised by the level of historic research and detail in the book, as well as the tie-in to the Dracula story, making it a marriage of two genres.This is a long book with a lot of rich setting detail. That doesn't tend to be my style but it works with the feel the book is going for, and many readers will enjoy the pace at which the book moves. The dark fantasy elements take time to set up, but when they get into motion they really add to the story. The story strikes a nice balance of Ecaterina working with the culture of her time-period and being bothered by certain things Vlad does. For instance, it bothers he that he has mistresses, but she comes to accept it as is expected of her in the time-period. This trajectory acknowledges the feelings the modern reader may have about the situation but also lets the character be true to her time-period.The author toes a finely-held line of showing Vlad's cruelty but also keeping him human and not demonizing him. He was a cruel ruler but he wasn't a monster. Similarly, although Ecaterina loves him she is still disturbed by his actions when ruling. This lends both characters depth they would not have if Ecaterina's love was blind or Vlad was monstrous.In spite of appreciating the historic fiction plot covering many decades, I did sometimes feel that the plot meandered a bit too much. I also felt that sometimes the book told too much instead of showing. Similarly, there were a few too many typos and grammatical errors for a book that is in its final version. It was not enough to make me stop reading but it was enough to detract from my overall enjoyment of the story.I appreciated how much of the book is from women's perspectives. Not just Ecaterina's but her mother's, servants, and other consorts and even a spy are featured. 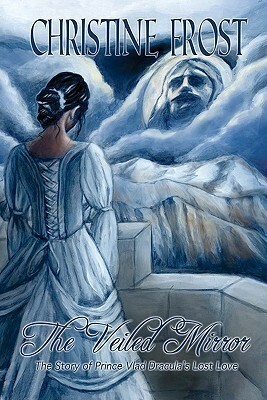 The female cast is strong, and that would be easy for a less thoughtful writer to pass over in favor of showcasing the men history chose to record more thoroughly.Overall, readers seeking to learn something about the 1400s in Romania will be pleased by how much they will learn reading this book. Those who come to it due to the Dracula connection will enjoy the fantastical elements toward the end in particular. Recommended to readers of historic fiction and fantasy who do not mind a long book with a slow burn.Check out my full review. (Link will be live October 19th, 2015). I don't know what to write about this book, I read the first few chapters and came to the conclusion it would be a quick, light read with not much depth to it, I was wrong and by half way through I was hooked as the theme and mood changed to show the way history did. I really began enjoying it as it got closer to the end but unfortunately I have to say I was completely disappointed with the last few chapters, it went in a direction I was hoping it wouldn't and I was left feeling let down almost. So while I enjoyed reading it, I wish it had ended a lot earlier than it did, about 4 chapters earlier. Excellent historical drama based on the life of the consort of Prince Vlad. Terrific research brings the time period and their relationship to life! Christine Frost - Before finding her calling as a digital strategist, Christine Frost's nomadic career spanned beer and mead brewing, marketing for a record label, and book editing at a university. She received a master's in literature and creative writing from Harvard Extension School, and has written four novels, with several short stories appearing in journals and anthologies. An avid cook who has collected more recipes than she can cook in a lifetime, Christine blogs about how food is portrayed in fiction at SavoredWords. She loves to scout out the best coffee shops in Boston.